So some time ago I made a blog post about the topic of Camera2 API on Android devices and why it is important if you are interested in doing more advanced videography on your smartphone. If you don’t have a clue about what Camera2 API is, please check out my previous article before continuing to read this. One of the things that my previous article suggested was that you need a device with „Full“ or „Level 3“ Camera2 API support built into the Android OS by the manufacturer of the phone to take advantage of pro video recording apps. If your device has only „Legacy“ or „Limited“ Camera2 API support then you are not able to even install an app like Filmic Pro. However, after recently getting an Honor 6A into my hands, I need to differentiate and clarify some things. The Honor 6A is a budget device from Huawei’s sub-brand Honor and shows „Limited“ Camera2 API support level, when testing with a probing app like Camera2 probe. I do own a fair amount of different smartphones to test with, but I realized that before getting the Honor 6A, I had only had phones with either „Legacy“ support level or „Full“/„Level 3“, none with the in-between „Limited“. And while the „Limited“ status does mean that you can’t install Filmic Pro at all and not activate the pro-mode in Lumio Cam, other pro video recording apps are not that picky and salvage what the „Limited“ support level gives them over „Legacy“ (the worst Camera2 API support level out of the four mentioned) instead of blocking the installation altogether. The other pro video recording apps I am talking about are Open Camera, ProShot, Footej Camera and Vimojo. 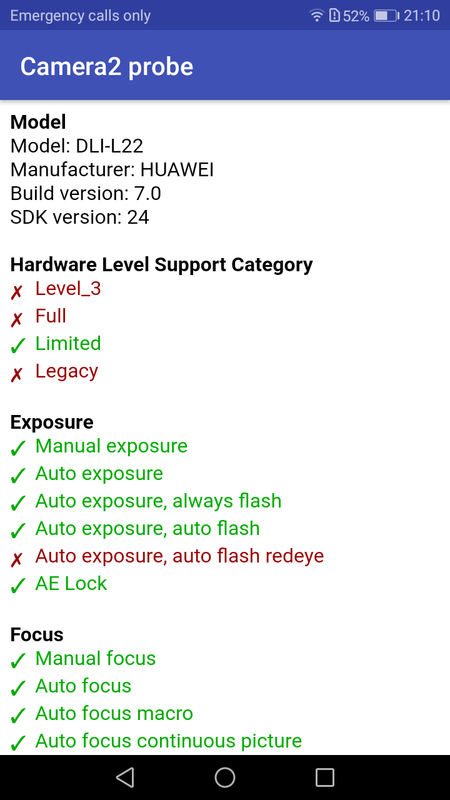 If your device has „Limited“ Camera2 API support that includes manual exposure etc. 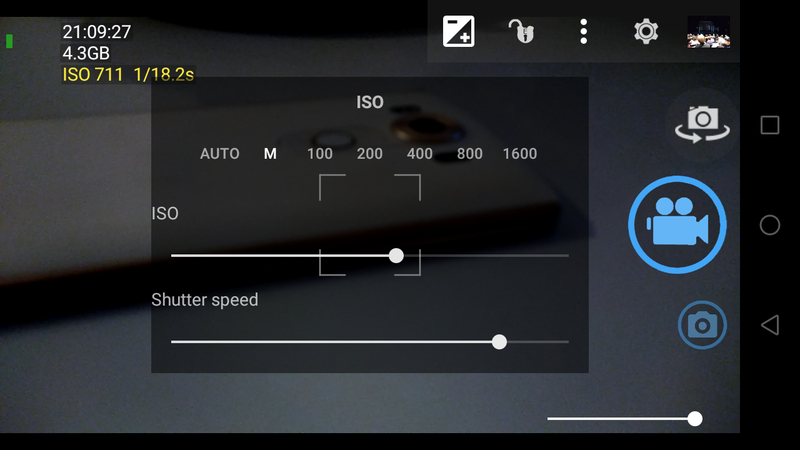 you will be able to use these features (for instance control of ISO and shutter speed) in the aforementioned apps. Please note that when using ProShot, Footej Camera or Vimojo, Camera2 API is automatically activated whereas with Open Camera you will have to go into the settings, activate the usage of Camera2 API and restart the app. Manual exposure controls in Open Camera. Anyway, this is very good news for all those rocking an Android device that has only „Limited“ Camera2 API support: Prominent examples of such devices would be fairly recent Huawei phones including their flagship P-series (starting with the P9 / P9 Lite & newer, same should go for their Honor sub-brand) and fairly recent iterations of Samsung’s mid-range A-series (A3, A5, A7) – possibly also the entry-level J-series (J3, J5, J7). You still can’t use FilmicPro on these devices, but other pro video recording apps come to the rescue and do give you more advanced controls. P.S. : These findings are also of relevance to owners of Sony phones. As I explained in my first blog post about Camera2 API, FilmicPro has (still) blacklisted Sony phones (even those with „Full“ or „Level 3“ support level) because of severe problems that they encountered during testing. #16 Six months with the LG V30 – a dream come true for smartphone videographers? #13 The Xiaomi Mi A1 – A good budget option for mobile videography?